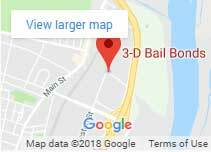 3-D Bail Bonds launched their CT Bail Blog called 3-D Bail Blog! Join the conversation about the most updated bail bond information in the state of Connecticut. 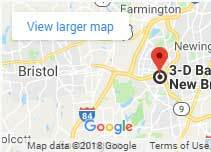 3-D Bail Blog was created with the mission to keep CT residents informed with all the latest information concerning new bail laws, Bail Association of CT, bail bond process, fees, and much more. Feel free to share topics you want to read about by emailing us at jrios@3dbailbonds.com. Since 1997 3-D Bail Bonds, Inc. has grown to be one of the most successful bail bonds companies in the country by providing bail services that can be trusted with the highest customer service. 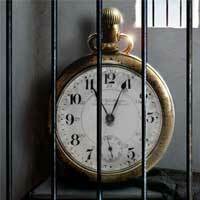 We have local bail bondsmen in your CT town 24 hours -7 days. All calls are free and confidential, call (860) 247-2245 for immediate assistance and get your loved one out of jail now. The Bail Association of CT was established in 2008 to develop and promote a safe, accountable vehicle for licensed bail agent in Connecticut. The Association promotes self-monitoring of Bail Agents and the concept that bail is an effective means of securing the appearance of defendants in courts. It is the only form of pretrial release that monitors defendants and has the authority to re-arrest absconding fugitives at no cost to the taxpayer. To learn more about the BAC click here. Failure to Appear in Court will Skyrocket. In 2015, of the people who failed to appear in court, those who released on a promise to appear (PTA) were returned to the courts only 43% of the time, while those released on bail were returned to the courts 85% of the time. Criminals rewarded as Victims are ignored. SB-18 creates a fund that pays for the accused’s legal defense with complete disregard for the victim. Funds will be used for fines, fees and court costs of the accused if not forfeited to the defense fund. Victims will be Denied Justice. When 57% of those accused, who do not return to court, are left on the run, victims of crime and society are denied justice and restitution. In 2015, 57% of those who were granted a Promise to Appear in Court and who failed to appear remain fugitives. SB 18 has no mechanism to track down or bring fugitives to justice. Increased Danger to Police Officers and Unduly Taxes their Resources. As the number of fugitives increases so does the risk to our police officers. Officers will face greater danger resulting from an increase in high-speed pursuits and an increase in physical confrontations. SB-18 does not take into consideration the impact its bail reform will have on State and local departments. The burden that Fugitive Recovery will place on police resources has not been determined. Police Departments presently are not staffed, trained or equipped to perform this service. Staggering Cost to the Taxpayer. The estimated cost of SB 18 will exceed $100 million. Currently, Bail Agents cost the taxpayer nothing and produce millions of dollars in state revenue. Increased Burden on the Courts. In eliminating the private Bail Bond Fugitive Recovery system that currently costs the state nothing and replacing it with nothing, criminals will remain in the community until they re-offend. Repeated failure to appears and criminal recidivism will increase and the cost of this burden on our court system has not been analyzed. Loss of 91 small Connecticut businesses and 1,000+ jobs in a crippled economy. SB 18, as currently proposed shuts down 91 small businesses and places over 1,000 citizens out of work throughout the state. The Safety of Connecticut is at risk!